And placed in a vase. To die in its natural state is unbearable indeed. To pluck a life that is not ours to take. What a noble deed it all seems! No more growing required to feed its soul! One would place it in a glass display. Frozen in its stagnant and unchanging state! To re-live again and again. To die over and over again. What is the difference between a rose and a crystal? The answer is in their existence. This poem was inspired by a question that was found in a booklet during a spiritual retreat in 1989. It was probably forgotten by most people who came across it. Yet, the beauty of the answer that came with the question became a philosophy of life! In truth, the answer often lies in the simplest things. Some people think that drama series are a waste of time. 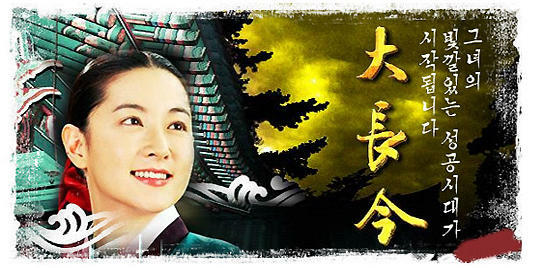 Perhaps... perhaps... :) But I reckon that if you do have time to watch just one drama series... do watch the Korean "Jewel in the Palace" series. I spent three days watching all 70 episodes. Am I mad? Yes, I guess so. I have been mad for a long time... meaning that I have enjoyed good storytelling for a while now. It has been a while since I watched a good show that lasted so many episodes. Honestly, I don't have the patience to sit through that many episodes without fast-forwarding some of the dialogues. Hehehe... but when it came to interesting tidbits about the art of cooking and herbal medicinal properties... I was utterly mesmerized. I stayed up a few of these nights just to watch the entire series. Even my mom was caught up with the series when it was the last 10 episodes. Why? A good series brings you into the story... it allows you to immerse yourself into the whole character analysis of the protagonist and makes you laugh, get upset and angry and cry as well. I realised it was the protagonist's unfathomable resolve in getting to the bottom of every difficult situation that makes her such a lovable character. Her hardworking attitude makes me feel so ashamed of my own efforts in my dedication to my work. Perhaps I want to be like her... perhaps I wish I was more like her. Perhaps... perhaps... The relationship between her and her beau reminds me about unconditional love. To love is not to possess one's mind, heart and body. To love to allow the person to become the person that God has intended for this person to be. To support this person most wholeheartedly in his / her endeavours that befit his / her vocation and calling. Most of all, I was very touched by her devotion to her relationships with others. It is hard to forgive someone who has given you so much pain and suffering. Yet, we are called to forgive for God has already forgiven our future misdeeds. Forgiveness takes a lot of maturity. It does not require permission from the other party... all you need is to let go of that pain / hurt that is in your heart right now by offering it up to God. Allowing the pain to go makes way for healing to take place in the heart. I know it is difficult to let go of some of the hurts I had in my life experiences... I am no saint. I never claim to be one. Yet we are all asked to be more like our Father in Heaven. Sometimes I think God must be a good joker because the more I find it hard to let go / forgive, the more I encounter the similar kind of situations again. Frankly, most of the episodes were ficitional according to the sources. But it doesn't matter... it was the values and characteristics of the protagonist that attracted me to it.